Starvation looms as food runs out in Ethiopia – Royal Times of Nigeria. 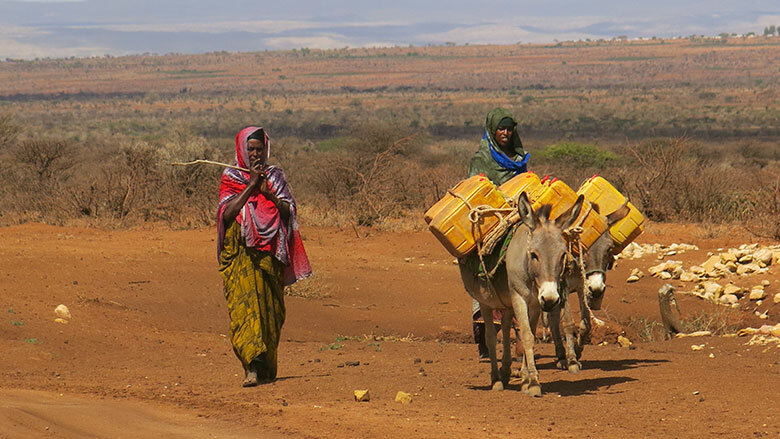 The Somali people of Ethiopia’s south-east have a name for the drought that has killed livestock, dried up wells and forced hundreds of thousands into camps: sima, which means “equalised”. It’s an appropriate name, they say, because this drought has left no person untouched, spared no corner of their arid region. And it has forced 7.8 million people across the whole of Ethiopia to rely on emergency food handouts to stay alive. But by next month, that food will have run out, aid agencies say. Droughts are common in Ethiopia, and in past years the government and international community have mounted impressive efforts to curb starvation. This year though, Africa’s second most-populous country is struggling to find the money for food aid, say aid agencies. Once a global byword for starvation and poverty after a famine in 1984-85 killed hundreds of thousands, Ethiopia has seen its economy grow rapidly in the last decade. Health indicators such as infant mortality and malaria deaths have also improved. A stronger economy allowed Ethiopia to spend an impressive $766m (683m euros) fighting one of its worst droughts in decades in 2015-16. This year, however, things are different. Economic growth has slowed, due in part to protests spurred by long-simmering grievances against Ethiopia’s one-party state. Donors have also been distracted by other regional crises. To the south-east, Somalia is suffering from severe drought, with warnings it could tip into famine. Ethiopia’s western neighbour, South Sudan, has suffered four months of famine, and extreme hunger is at its highest levels ever after more than three years of civil war. Ethiopia, by contrast, has a strong central government and is relatively free from conflict. But with the situation so desperate in the region, donors aren’t responding to the country’s emergency as they have in the past, said Mitiku Kassa, head of Ethiopia’s National Disaster Risk Management Commission, Mitiku Kassa.